April 13. By Dave Yochum. 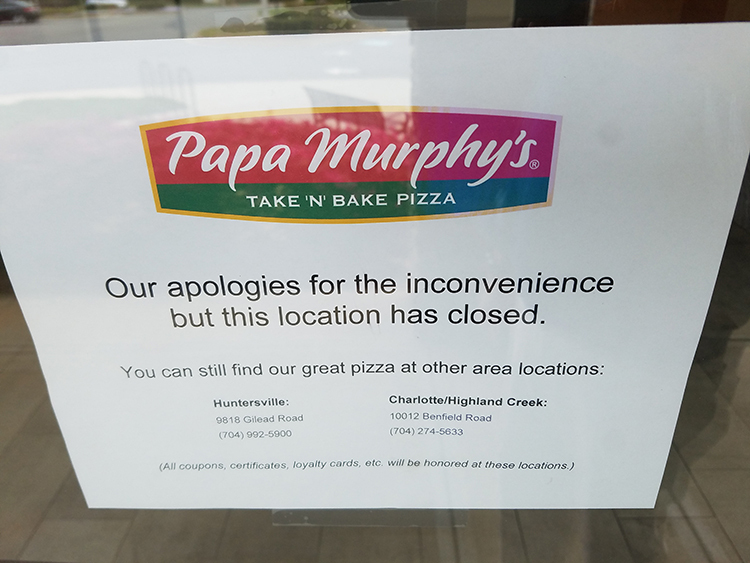 The Papa Murphy’s pizza franchise in Magnolia Plaza in Cornelius has closed, the phone is disconnected and the storefront is locked up. The Tastebuds Popcorn next door is also closed, testament to the fact that the food franchise business requires a cast iron constitution no matter where you are. 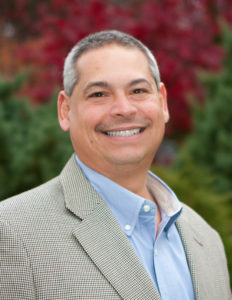 Business broker Joe Vagnone, who has helped buy and sell countless small businesses, including franchises, says now, “more than ever, location matters,” when it comes to brick and mortar retail. New franchise opportunities are risky, but he is OK with resale opportunities. Pizza Magazine—yes, there is a magazine devoted to this industry—says winners in the pizza race are those operators who embraced websites, social media, online ordering and delivery technology. 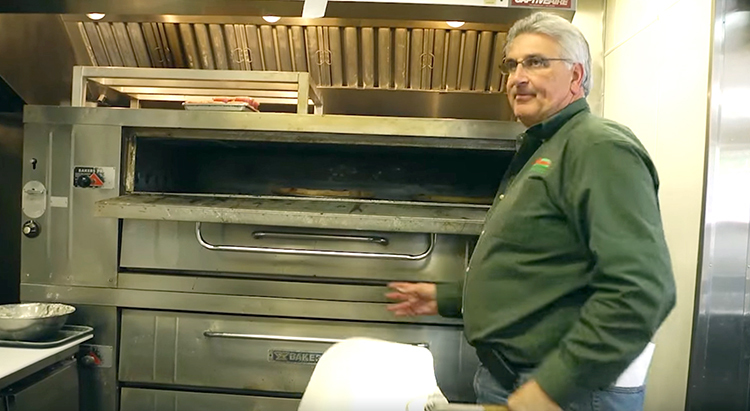 “Many of the fastest-growing pizzerias also had the highest web rankings, illustrating that there’s a direct correlation between a strong web presence and healthy sales,” the magazine says. Papa Murphy’s Cornelius web portal is still open, offering an extra-large sausage and pepperoni pizza special for only $8, not a lot of money when there’s rent to pay. Consumers are now spending as much money eating out as they do eating in. But the competition is brutal. The standalone Pizza Hut on West Catawba—right next to Bojangles—has moved to less expensive space in the Lakeshore Market Place. The old location at 20300 W. Catawba Ave. will be redeveloped. A “family plan” extra large traditional cheese pizza, with baked ziti and a meatball sub runs $21.99. Chicken Francese served over penne pasta runs $10.99. The sign on the door at the Papa Murphy’s location in Cornelius. “We realize that we needed to be more then just pizza and calzones. We try to bring the pizza restaurant with a full line of Italian food for the whole family, right to your home. The kids can have pizza and mom and dad can order everything from chicken wing to Chicken Francese,” he says. The AC Nielsen research company says eating out isn’t just for special occasions any more. “It’s a way of life for nearly half of global respondents—48 percent—who say they eat at restaurants or other out-of-home dining establishments weekly or more often,” AC Nielsen says. Consumers are cutting back on certain foods that are typically high in fat, sugar or sodium, but they’re saving room for indulgences, particularly more healthful treats.